I've only ever had Nokia phones and have stuck with them mainly because they were a lot more usable than other brands. Nokia's current offerings were leaving me a bit cold however so I've been thinking "surely the other brands must have caught up" and indeed Sony Ericsson's sales are topping Nokia's in the UK at the moment. Anyway I thought I'd give another brand a try so I went for a Samsung U600 as I like the look of their sliders and although it's not a smartphone it is from their new "Ultra Edition 2" line so I thought it would meet my needs. I'm currently awaiting the Jiffy bag from Orange to send it back in so needless to say it fell at the first hurdle. A hopelessly inadequate phonebook, annoying predictive text set-up requiring constant swapping between keypad and navigation key, and some very questionable calling and hanging up behaviour were my main grievances. So now I'm back to square one and thinking I'm either going to get a Nokia or another brand only if it's running Symbian so I can be assured of a certain amount of base functionality. 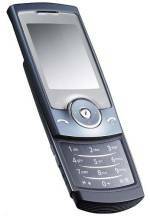 So the next two candidates were the Nokia 6300 or the Sony Ericsson W950i - the Sony is missing the all important camera and the Nokia isn't running Symbian so not clear cut by any means. I may have finally found the answer with the Nokia 6120 which is a smartphone, has a camera and is a centimetre narrower and half a centimetre thinner than the 6680. Only problem with this one is that it's not currently available on Orange so I've got to wait for it - Doh!